'Captain' Daryl Dragon Of Musical Duo Captain & Tennille Dead At 76 The '70s pop group was known for hits including "Love Will Keep Us Together," "Lonely Night" and "Muskrat Love." Dragon and musical partner Toni Tennille were married for almost 40 years. 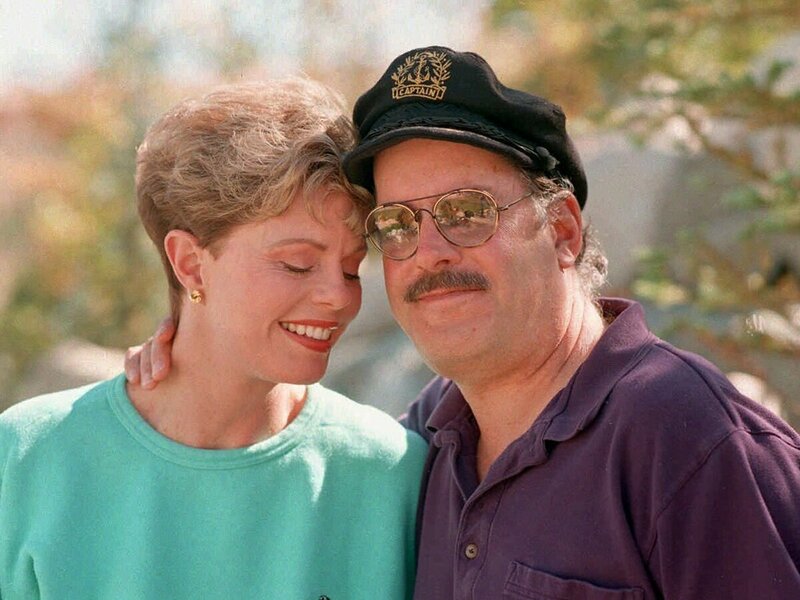 Toni Tennille, left, and "Captain" Daryl Dragon, of the singing duo The Captain & Tennille, pose during an interview at their home in Nevada in 1995. 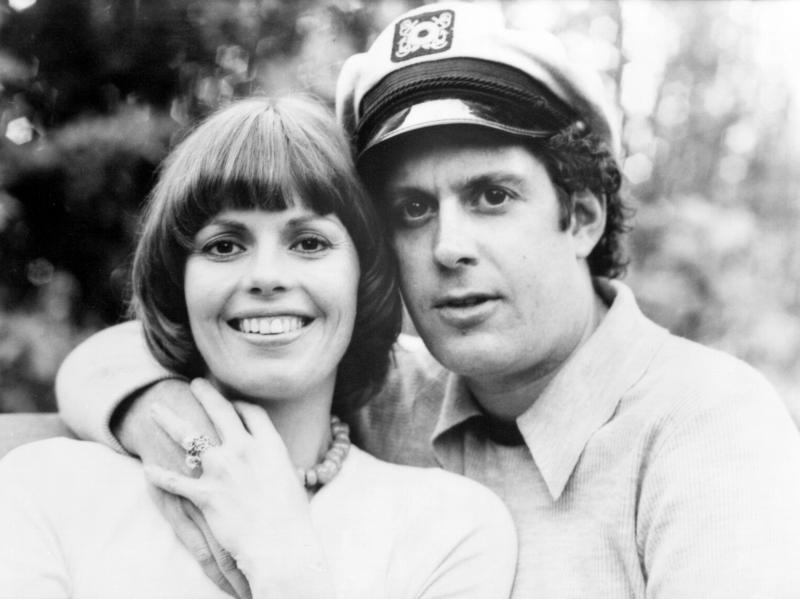 Daryl Dragon and his wife Toni Tennille, in an archival photo. "He was a brilliant musician with many friends who loved him greatly," Toni Tennille said in a statement, reports Rolling Stone. "I was at my most creative in my life, when I was with him," she said. The Captain met Tennille in 1971 when she hired him as a pianist, according to The Hollywood Reporter. Dragon and Tennille were married for 39 years before they divorced in 2014. Dragon died of kidney failure, according to his publicist Harlan Boll. The musical duo began performing together in the early 1970s. Their first breakout hit, a cover of the Neil Sedaka-Howard Greenfield song "Love Will Keep Us Together," shot to the top of the charts in the summer of 1975. The single won them a Grammy Award for Best Record of the Year. The song's success helped revive the career of Sedaka, whose 1975 single "Bad Blood" went on to hit No. 1. Dragon was "a great musician, keyboard player and friend for over 40 years," Sedaka wrote on Twitter. "He took 'Love Will Keep Us Together' [and] made it his own with the magic of his playing and her incredible voice." Over the next several years, the hits kept coming, including "The Way I Want to Touch You," "Lonely Night," and "Muskrat Love." They even hosted their own television variety series on ABC for one season from 1976 to 1977. Their last big hit was "Do That To Me One More Time," peaking at No. 1 in 1980. Dragon came from a musical family. According to the New York Times, his father, Carmen, was a composer and conductor; his mother, Eloise, was a soprano who sang for radio. Daryl Dragon himself was trained as a classical pianist. Dragon got his "captain" moniker as a keyboardist with The Beach Boys, which he performed with from 1967-1972. According to the Hollywood Reporter, lead singer Mike Love gave Dragon the nickname because he liked to wear a captain's hat onstage. "Daryl was a great guy and a hell of a musician," wrote Beach Boys singer Brian Wilson on Twitter.